Can Kobayashi live up to his exciting reputation in 2011? 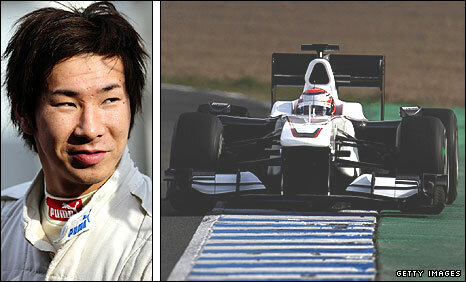 "Kamui Kobayashi was a revelation in 2009 when he jumped into Timo Glock's Toyota seat for the final two races. "He had a reputation to live up to but in the early part of the year he was disappointing. "The real turning-point came in Valencia when he nailed Fernando Alonso and Sebastien Buemi. His car subsequently improved and his confidence and speed soared. 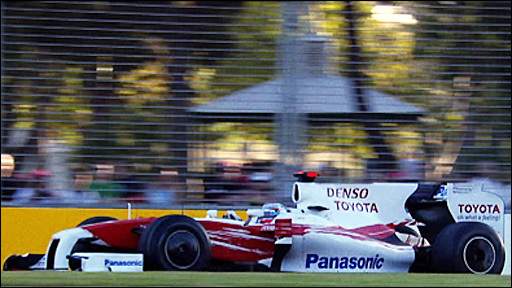 "Kobayashi's attempts to 'have a go' are at times clumsy but when he pulls off the big overtakes we love it. "People often talk to me about him and that is because the Japanese driver's reputation has transcended his results." To learn all the people and their names in a new team. ... strictly have one race in each country. Between the drivers we don't have much to joke about. I'm able to draw a line between my professional and my private life. I know when it is time to take things serious and when I'm free to enjoy life. I don't remember, it must have been a school book. Being alone in a quiet and warm place to relax, a beach would be nice. Several top athletes - it would be interesting to talk to them and to learn from them. Apparently everybody thinks I'm an aggressive person. I'm not!